The Maritime Port Authority Innovation Lab and other initiatives will focus on innovation, partnerships and industry transformation. The Maritime and Port Authority of Singapore (MPA) launched its Maritime Innovation Lab (MIL) yesterday. The MIL is part of the broader MPA Living Lab efforts and consists of both physical and digital aspects to serve as a co-creation platform for innovation. The purpose-built facility will create an environment that enables experimentation and the test-bedding of innovative port services and intelligent ship operations. It also supports the Sea Transport Industry Transformation Map through encouraging open innovation and R&D partnerships among industry, regulator and the research and technology communities. The MIL was launched in conjunction with Singapore Maritime Week 2019 (SMW2019). Next Generation Vessel Traffic Management System Lab (NGVTMS Lab)was also jointly launched today. It is co-located within the MIL, this $9.9 million setup will realise the development of new vessel traffic capabilities, such as an advanced data communications system for information exchange between ships and port authorities, which enables comprehensive maritime situation awareness for safety and efficiency. The programme would also see collaborations with A*STAR, including its Institute of Higher Computing and Institute of Infocomm Research. Remotely Assisted Pilotage Advisory (RAPA). ST Engineering, PSA Marine and MPA are collaborating to design and develop a remotely-assisted pilotage advisory. The RAPA solution incorporates Internet-of-Things sensors and communications systems to enable remote pilotage from shore-based stations. Shorebased marine pilots will be provided with an augmented situational awareness of vessel navigation through real-time video imagery and vessel traffic information, assisted with a collision avoidance software. MPA has set up a cross-agency Maritime Autonomous Surface Ships (MASS) Steering Committee to develop strategies, including an implementation roadmap of autonomous maritime operations and capabilities, and a regulatory sandbox. These will facilitate the test-bedding of projects and trials that enable Singapore’s port to receive Maritime Autonomous Surface Ships. 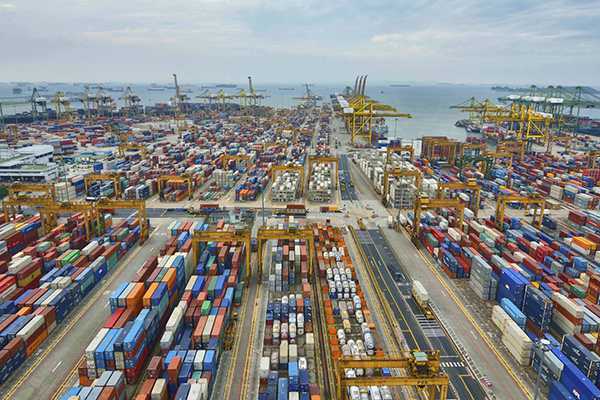 In supporting Maritime Singapore’s ongoing digitisation transformation, MPA has also launched the Singapore Maritime Data Hub, a one-stop data repository, to catalyse the development and test-bedding of innovative digital applications and services for the maritime industry.